Today is the first day of my 44th year on this planet. I’m happy to say that while I don’t have the wrinkles of someone with over four decades of life experiences, my heart is full of them! One of the best experiences I had this year was becoming one of Buddhapuss Ink’s authors because doing so allowed me to meet Mariam Kobras. 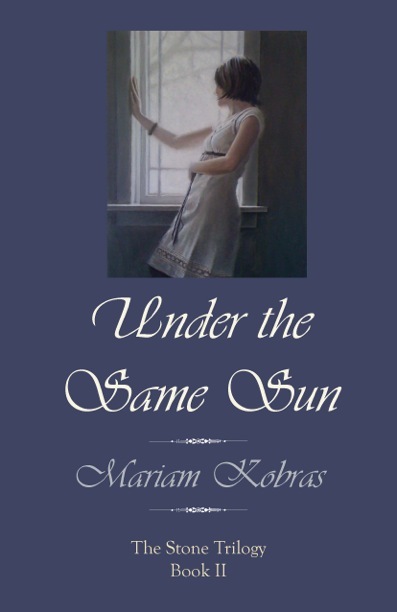 It is my honor to host Mariam for my first ever blog hop to celebrate both Mariam and her newest book, Under the Same Sun. Most blog hops are classic interview Q & A. But because today is the day after my 44th birthday, I decided to do something a bit different and have a “Birthday” theme to my questions. I’d ask Mariam 44 of them but that would be nuts, so I did the 4+4=8 approach. With no further ado, here’s Mariam! 1. How did you pick the age of your protagonist? Also, did you figure all that out before hand or “pants” it as you wrote? It’s funny you should ask this, one day after your 44th birthday! My protagonist, Jon, is forty-four, too, at the beginning of the trilogy, when he sets out to find Naomi in Norway. Naomi is younger, she is thirty-eight. Their age is a consequence of the story. They were lovers when they were very young, lost each other, and it is their son who brings them back together again. I made Joshua a sixteen year- old so I could put him into a program for highly talented kids, and well out of the way of his enamored parents who need the space to make their relationship work. One of my favorite scenes in The Distant Shore—the first book in the Stone Trilogy—is when Joshua meets his famous father for the first time,a very charged scene. But we were talking about the new book, Under the Same Sun, the second in the trilogy (notice the plug!). Joshua is now living with his paternal grandmother in New York and attending Juilliard, while Jon is on tour in Europe, accompanied by Naomi. Naomi is battling the post traumatic stress from the shooting at the Academy Awards. At the same time, she has realized that she took something important away from Jon when she left him and took Joshua with her. She wants a new baby, but her injuries might prevent that. My style of writing—totally seat-of-the-pants. When I start writing a new novel I have NO idea where I’m heading. There’s a general idea, a central event that I’m working up to, but the path to getting there is an adventure. Take Under the Same Sun: the story leads up to a life-threatening crisis for Naomi, but along the way, she dances with Jon on a lakeshore in Geneva, goes shopping at Harrods in London, decorates her new house in Brooklyn, and makes a radical change in her appearance while in Hamburg. 2. Do you like cake for celebrations like birthdays or something else? Does this come into play at all in your book? I LOVE cake! Last year, my publisher threw this amazing author party for me and there was this huge Red Velvet cake, and a table full of brownies, cupcakes, cookies, madeleines—you name it. And you know what? I never had time to try any of it! So this year when I was there, I was served Red Velvet cupcakes. My publisher was scandalized that I’d never even tried it the first time! We don’t have Red Velvet cake in Germany, sad to say. And yes, I loved it! Now that you mention it, maybe I should write more about food. 3. Do you like to be surprised with parties or be part of the planning yourself? What kind of release party is happening at home in Hamburg on your release day? Hmm…I’ve never been surprised with a party yet. I’m usually the one throwing them. I really think the author party last summer was the first and only party, ever, in my honor. It was a totally unreal and weird feeling, and it took me quite a while to realize that all those people were there because of me. But it was also very, very cool. Sigh—the release party—the only downside of living in Germany and being published in the US, is no release party, and that’s very sad. I’d love to have a real release party at the publisher’s, the way it ought to be done. Maybe with later books, when I’m rich and famous. The way things are, I will spend my release day tweeting the first chapter of the new novel, chatting with the publisher, drinking some champagne with my family, and my best friends. I’ll be feeling a bit sorry for myself because my books won’t have arrived in Hamburg yet. Last time, all the readers who’d preordered it were telling me on Twitter and Facebook how much they loved the look and the feel of The Distant Shore, and there I was with no book! 4. How did you “celebrate” selling your first novel? This one? Honestly? The sale of my first book was a totally crazy thing. Can you picture me, choking on my coffee? A moment later, I got a message on Twitter, from Buddhapuss Ink, asking when they could have the full manuscript. The rest, as they say, is history. I blissfully signed with them, and right now I’m working on my fourth book. I think it’s safe to say that we are very happy with each other, Buddhapuss and I.
I drew back a little, utterly astounded. My project? Did she mean The Distant Shore? Believe in it, totally? A freaking publisher? And then she goes to talk about release dates, book readings and business cards, and, yes a book deal. All while in the kitchen my lunch is going to crap. My son burst into the room, impatient for his food (he’s a teenage boy; they need lots of food, and all the time), and my husband, totally unfazed, was sitting at his desk composing a math test for his students. He’s really, really good at bursting euphoric bubbles, that one. So that was the day I got my first book deal, and the way I celebrated: I ate mushy pasta with my family. 5. How do you think aging plays into your writing and/or books? Whose aging? Mine, the characters’, my editor’s? No, I don’t think it plays a very great role. On second thought, I started writing when my kids were grown and I had time to do it. I never thought this was an issue. See, for the longest time, most of my adult life, I really wanted to write, but never knew what. There just was no story. Then one morning in 2008 I woke up and knew I was going to start. I had to wait until Christmas, until my husband bought me a laptop, but then I was off, and I’ve never looked back. So yes, maybe aging does play a part. The story had to ripen and grow before I could write it. I don’t know if aging is important in the books. There is some yammering from Naomi in Under the Same Sun because she wants a baby so badly, and she’s thirty-nine and it’s not really going too well, but aside from that, no. 6. What is the best gift you’ve ever received? Aside from my family, definitely that first book deal. I don’t even have to think about this. I’m so incredibly, unbelievably lucky: I never had to try and submit, or face rejections, and I adore my publisher. Working with them is a breeze, fun, everything a writer could wish and hope for! I mean, this isn’t normal, is it? You wake up one day and decide to write a book, publish one page of it on your blog, and a publisher calls you and says they want it, and now, please. What greater gift could a writer get? 7. What do you look forward most for you as a writer in this next year? We will release Book Three of the Stone Trilogy in summer, and I’m hoping the first book of the new, yet nameless trilogy, can be released some time in winter. Also, I’m working on going back to the US for a while, preferably in fall. I want to visit friends in the South, and I’m not that good with heat and humidity anymore. All the places I visit are potential novel settings, and the weeks spent in the US are really good language practice for me. See. I’m German, but I write my novels in English, and my publisher is in the US. I’m looking forward to doing much the same of what I did this year: write one or two new novels, travel, and generally have a good time. 8. If you had a wish to make, and sharing it here wouldn’t affect its coming true, what would you wish for? As far as the big things in life are concerned, I’m a pretty happy person. My kids are doing well, my husband and I have a good marriage, we are moderately healthy and have a regular income. Living in Germany, where social security and health care are great, makes life easy, too. I’m a published author, two books released and more to come, I love my publisher and have no intentions of ever leaving them if they don’t kick me out, and I have wonderful friends all over the world. I love what I’m doing, I love getting up in the mornings and can’t wait to start writing, love that writing is my dayjob now, as well as, my favorite hobby. So there’s only one thing for me to wish for: I want this life to go on a good long while yet, just the way it is. This was the third stop in Mariam’s Blog Hop celebrating the launch of her latest book, Under the Same Sun (Book II in the Stone Trilogy) which hit the Amazon.com bestseller list on its first day on sale! There’s only a few left, so order yours soon and while you’re waiting you can go to our blog and click the link to read the first two chapters for free. Before you leave, you will want to write a comment below about this blog post for a chance to win one of three copies of Under the Same Sun (plus some pretty gosh, darn, yummy chocolate)! You can get additional chances by following Mariam at every stop on her hop and leaving comments after each post. And hey, while you’re here, why not follow this blog. You won’t regret it. 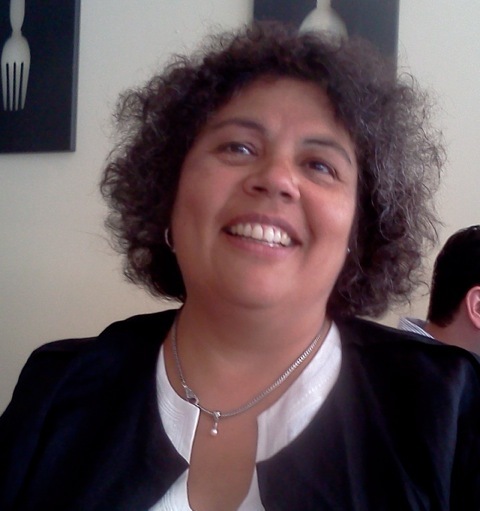 Tomorrow, Friday, 10/19, Mariam will be visiting Rebecca Emin’s blog. Join us there! Check our blog for the full calendar and more details! This entry was posted in Front Page, Writing and tagged Buddhapuss Ink, Mariam Kobras, publishing, Under the Same Sun, writing by kristina. Bookmark the permalink. Hearing Mariam & Kristina’s voices in the same room/post—what a wonderful gathering of friends. I’m so happy to be celebrating with you.